Of all the roles Grace Kirwan has played in her long life, the one she considers most important is that of babysitter for her great-grand niece, named for her. She’s also cared for, in turn, the tot’s two brothers. She reads to them and carries on conversations with them providing a wonderful start in their young lives. Kirwan, from her Monroe birth in 1913 to 2002 has done so many things during her lifetime; it exhausts one just to contemplate them. Her mother, Bertha Shrum, arrived in Monroe in 1903 and her father six years later. A family history of community service began with her great-grandfather who served on the town council and her great uncles, also councilmen, one of whom went on to the state senate. Both her great-grandfather and one of his sons served on the town council when the town hall was built in 1908. Kirwan’s father, Walter Camp, spent time on the town council and was mayor two different times. She followed his footsteps when she served on the council for four years then two terms as mayor of the town that had become a city in the late 1960’s. Camp and his brother, Bert, founded the Camp Brothers Drug Company. When Bert returned to Texas a couple of years later, William Guy Riley joined Camp and the business became the Camp-Riley Drug Company, Monroe’s only pharmacy for a number of years. Both graduated from the Philadelphia College of Pharmacy where each earned a doctorate in pharmacy. It was the premier pharmacy school in the nation. Kirwan’s first job was as a soda jerk at the pharmacy’s famous soda fountain. “I stirred the special chocolate sauce from the time it was put on the stove until it cooled,” she recalled. The fresh strawberry topping was made from Marshall strawberries only since they were red all the way through. The Camps first lived in an apartment in the back of the pharmacy. Kirwan’s older sister was born there. Kirwan joined the family in the house on W. Main Street with a peaked roof across from the Nazarene Church. The family moved to a safer location on S. Blakely after a runaway team of horses crashed through the fence in 1914 while her sister Eileen played in the yard. Kirwan began her higher education at Texas Women’s University then continued at the College of Puget Sound in Tacoma now the University of Puget Sound in 1934. The college had no library science program so off she went to Texas again where she earned a Bachelor of Science degree in library science and a Bachelor of Arts degree in English. She wanted to work in Texas where any school over 200 students had to have a full-time librarian. With the advent of World War II, Kirwan joined the Navy in 1943. She first attended aviation machinists’ school and became a machinist’s mate third class before being sent to Officer’s Candidate School at Smith College. As an ensign, she was assigned to the Office of Naval Personnel in Washington, D.C. After going on inactive status in January 1946, she retired from the Naval Reserve in 1970 with the rank of lieutenant commander. In 1945, she married Gerald Kirwan and moved to his home town of Boston for a short period of time before the newlyweds returned to Monroe in 1946. Her husband said it was like the Northeast but king size. He worked as a cost analyst for the Air Force at the Renton Boeing plant. Prior to that time, Walter Camp urged his wife to take over a ladies’ shop and in 1932, Milady’s Frock Shop was born. 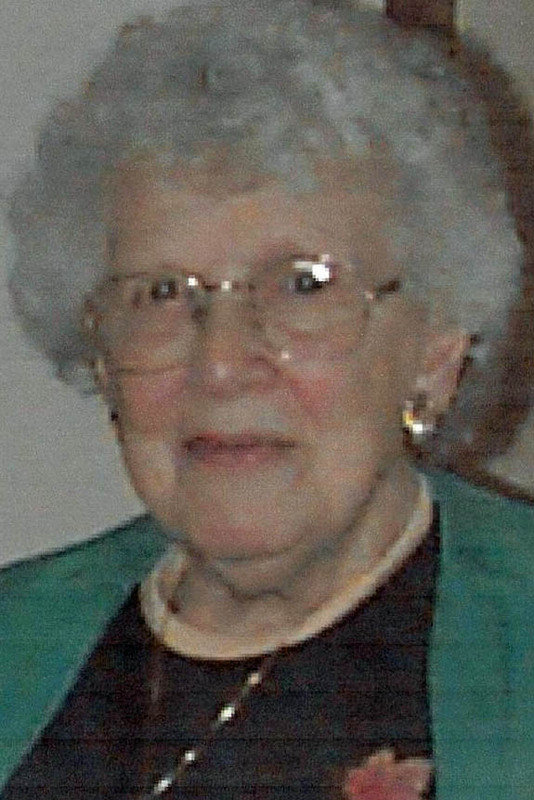 Grace Kirwan worked in the shop for 47 years first as a clerk, then manager, and finally as owner in 1961 when her husband died of lung cancer. As the years passed, merchandise turned over faster that spawned innovations in marketing to keep up with the demand. Many valley women shopped at the store and mourned its closure in 1993. Kirwan received an appointment to the Monroe Library Board in 1950 and according to her entry in Who’s Who; she served on that body for the next 15 years. 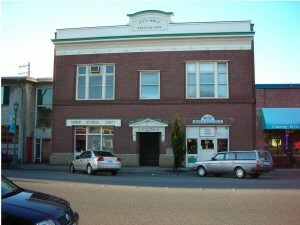 At the beginning of her tenure, Old City Hall housed the library upstairs. To match a federal grant, library board members and other citizens including Mayor Jack Law went door to door soliciting funds. They garnered enough to build the library at the corner of Hill and Blakely streets. Kirwan successfully urged the board to affiliate with the Sno-Isle Regional Library System. Along with her other activities, the Public Hospital District No. 1 Board that oversees Valley General Hospital appointed her to serve out Irving Faussett’s term in 1970. After election in her own right, Kirwan served on the board for a total of 20 years, 10 years as chairman. Many improvements and expansions took place at the hospital during those 20 years. As a world traveler, she’s trod the grounds of Southeast Asia including Fiji, American Samoa, Western Samoa, Tahiti, New Zealand, and Australia. That first tour director and she became good friends. She’s made four trips to Israel. On one of those trips, the tour group followed the route of St. Paul through Greece, Turkey Jordan, and Syria. “I was very glad to see the Near East when it was at peace,” she said. On the Latin side, she spent a month in Spain in 1973, went to Morocco, and visited the Casbah made famous by actor Charles Boyer. She’s also been to Mexico several times. “I’ve been to lots of places, but I’m always glad to get back to Monroe. It’s a wonderful place,” she added. During her younger years, she was an accomplished violinist loving to play on the G string. She performed at assemblies and on the radio. She now keeps her fingers busy knitting caps for Valley General Hospital’s newborns. She also makes altar linen for her church. 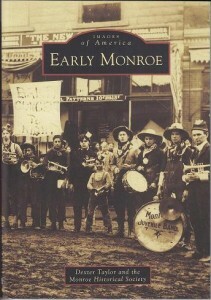 One of Kirwan’s greatest contributions to Monroe’s history is her clear memory of people and events out of the past. 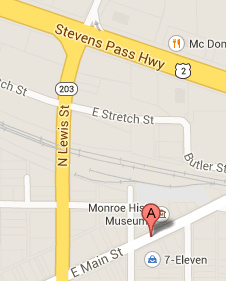 She compiled photographs of many early buildings in Monroe along with their histories. The Monroe Historical Society received a Malstrom Award from the Snohomish County League of Heritage Organizations for the publication that’s available in the society’s museum and the Monroe Public Library. Kirwan has continually supported the Monroe Historical Society serving as a board member and hosting at the museum in the past. Not only is she providing an excellent start in life for the little ones but gives meaning and voice to the past. Katharyn Grace Kirwan, born on December 1, 1913 in Monroe, Washington to Dr. and Mrs. Walter S. Camp, passed away on July 16, 2008 in Sultan, Washington at the age of 94.